Barça Lassa did what they had to do with a 76-71 victory away at Monbus Obradoiro that leaves them in sixth place at the end of the regular season. The blaugranes were always in control and 16 points for Rice, 15 for Oleson and 12 for Perperoglou were too much for the Galicians. The game started evenly with the sides exchanging points until Brad Oleson began to find his range from the three point line. 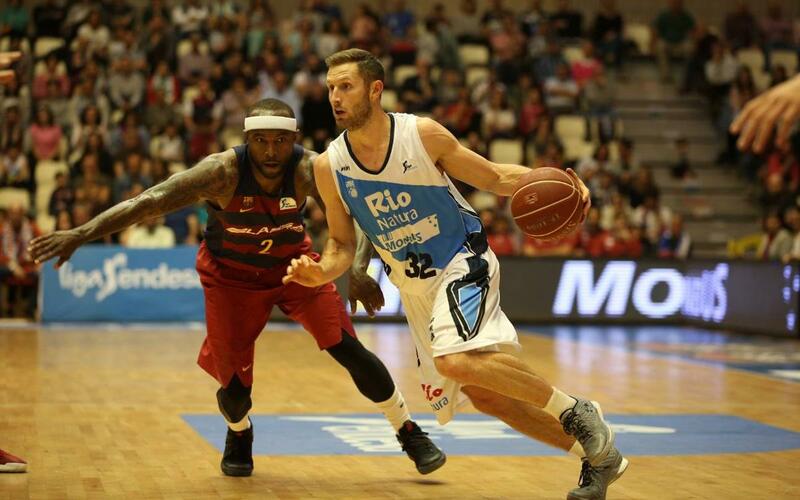 Into the second period and Barça were up 14 points at 34-20 when nine unanswered points from Obradoiro brought them back into the contest and at half time the lead was just two points for the blaugranes at 36-34. The home side even managed to get ahead at one points but Bartzokas’ team fought back with seven unanswered points. At the end of the third period the scoreboard showed Barça leading 59-52. The visitors stretched their lead to 12 points at one stage in the fourth quarter but the Galicians rallied and in the end the margin of victory was five points at 76-71. The win means the blaugranes finish in sixth place in the table with 22 wins and 10 defeats, a record that pairs them with Valencia Bàsquet in the quarter-finals of the league play-offs.